London 2012 – this summer’s Olympic Games – may be drawing the eyes of the world to the UK’s capital city. However, details released last week confirmed that the UK’s four nations (England, Northern Ireland, Scotland and Wales) will be represented in the Opening Ceremony. The ways in which these territories, landscapes and people will be represented have raised much subsequent interest. On July 27, spectators of the Opening Ceremony will view a scene entitled ‘Green and Pleasant’. According to the artistic director, it is a creation intended to represent ourselves as a nation. However, as an idyllic scene composed of rolling hills, rivers, and meadows with cows, horses and sheep dogs, this is also an idyllic geographical imagination. This typical ‘English’ countryside has evoked a range of responses, including those that question the reality of such representations. Representations of people and places underpin the field of cultural geography and, in particular, cultural landscapes. This theme also comes to the fore in the current issue of TIBG. Peter Hulme (2012) in ‘Writing on the land’, critically examines geographical imaginations and literary representations of Cuba. His paper reveals how the island’s geography has been reproduced through a range of metaphors relating to place (i.e. Cuba as a geobody), and political geographies enfolded within maps and novels. These representations are shown to be powerful sources of material influence in and over Cuba. Two further articles complement Hulme’s paper. First, Radcliffe (2012) develops Hulme’s focus by exploring three themes as they relate to current geographical debates. Second, a response by Reid-Henry (2012) closely examines the metaphors found in Hulme’s work. Together, these pieces provide a comprehensive insight to Cuba’s imagined geographies, and the ways in which we might consider broader territorial and national representations. 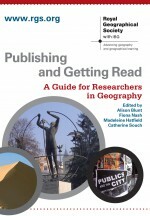 Perhaps inspired by this work, will you be wearing your cultural geography hat when July 27 arrives? ‘Green and Pleasant’ – the Olympic Opening Ceremony. This entry was posted in Transactions of the Institute of British Geographers and tagged Cuba, Cultural Geography, cultural landscapes, English countryside, geobody, geographical imagination, Green and pleasant land, London 2012, Olympic Opening Ceremony, Representation, Social Geography on June 19, 2012 by fionaferbrache.